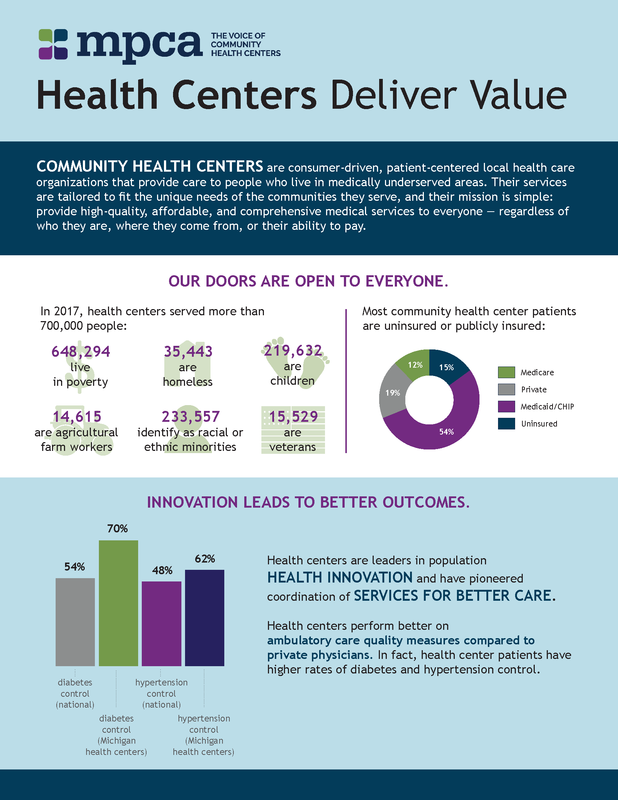 Community health centers are consumer-driven, patient-centered local health care organizations that provide care to people who live in medically underserved areas. Their services are tailored to fit the unique needs of the communities they serve, and their mission is simple: provide high-quality, affordable, and comprehensive medical services to everyone — regardless of who they are, where they come from, or their ability to pay. For a full listing of Michigan's community health centers, click here. 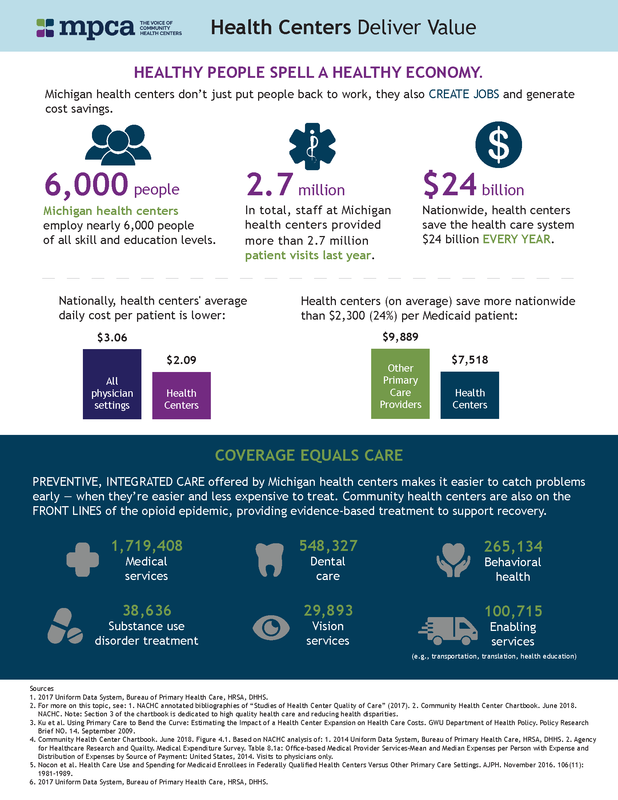 To learn more about how Michigan's health centers deliver value, downloadour latest fact sheet!